At Caledon Virtual, we love our furry pups. We love them so much, in fact, that they come to work with us each day. Not only because we can’t bear to leave them alone during the day, but also because dog-friendly workspaces are actually backed by the one thing we can all agree on: science. Yes, that’s right, scientific studies have supported dogs in the workplace. Allowing dogs in the workplace creates a warm and inviting energy, which can help with employee retention and recruitment, as well as team building. 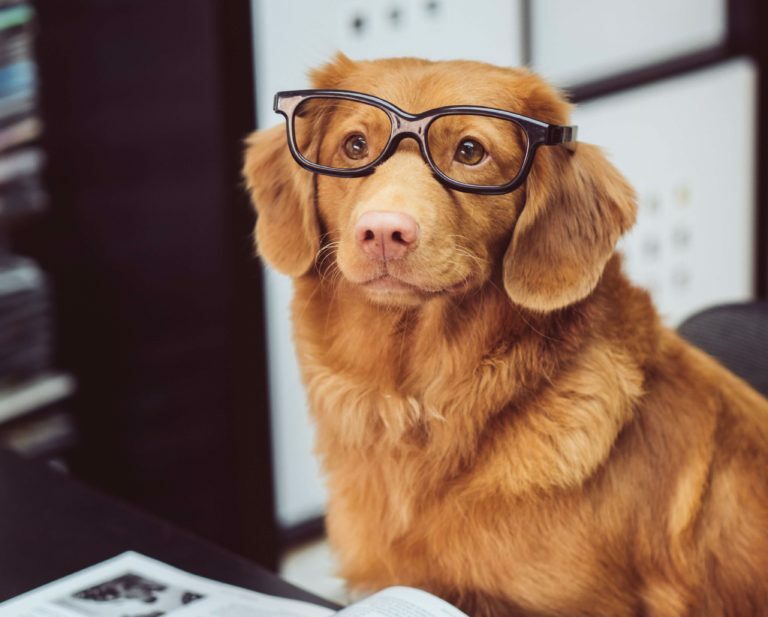 Studies have shown that those who bring their pups to the office have a higher level of job satisfaction, as well as a more positive view of their employer overall. For years, therapy dogs have had important jobs, from helping college students survive finals week to empowering kids to face their abusers in court. So, it’s really no wonder that the Virginia Commonwealth University’s 2012 research found that employees who brought their dogs to work experienced lower stress levels throughout the work day. Factors that might play into this are the removed cost of the potential need for doggy-care or dog walkers, as well as the feeling of companionship within the workplace setting. That same Virginia Commonwealth study found that employees in a dog-friendly work environment experienced higher levels of productivity. This could be because the presence of dogs may influence a release of Oxytocin, a hormone that helps the human body relax and de-stress. More than that, a few minutes of playtime or a quick walk around the block provide much-needed short breaks throughout the day, which can also boost productivity. Ever realize that you say “hi” to dogs you pass on the sidewalks before nodding to their owners? Dogs provide a quick and easy icebreaker, allowing employees to bond with those in the workplace that they may not regularly interact with otherwise. A paper from the International Journal of Environmental Research and Public Health (whew) released in 2017 determined that dogs may have a positive impact on social interactions between people. This was indicated based on previous reports which mentioned that the presence of dogs makes interaction between people occur more frequently. Social support is a term used to describe the way relationships cushion people from stress. Individuals with increased social support are typically associated with lower likelihoods of depression, while lower social support has been associated with diagnosed depression. Research finds that pets can effectively boost social support, in some cases, better than a friend or even a spouse. Maybe that’s why so many Millennials are buying houses with their dogs in mind rather than their future families. In any case, this social support factor can reduce stress and – potentially – the likelihood of depression for employees that have dogs in the workplace. It seems like man’s best friend is only getting better and better. A 2015 survey said that 8 percent of all workplaces openly welcome dogs, up from just 5 percent in 2013. So if you’re interested in an employer who welcomes furry friends with open arms, look no further than Caledon Virtual.